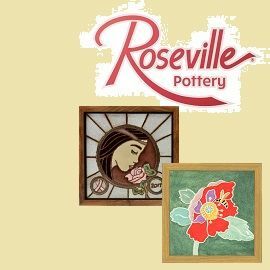 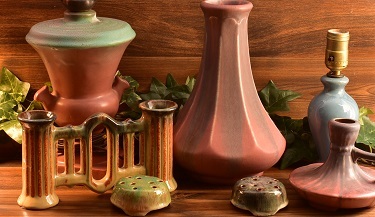 When the Muncie Clay Products Company began producing their artistic pottery lines in 1924 they first relied on simple shapes. 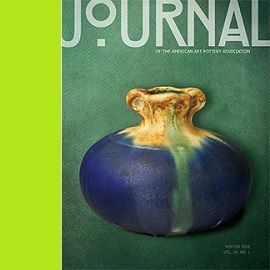 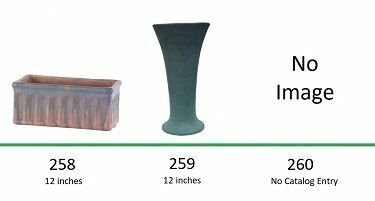 Vases were the primary production focus in the beginning, but they also knew that additional forms would help increase their competitiveness in the marketplace. 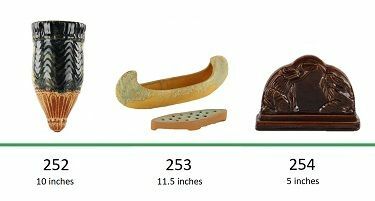 Tobacco accessories, lamps, bookends, and wall pockets all had their place in the catalogs. 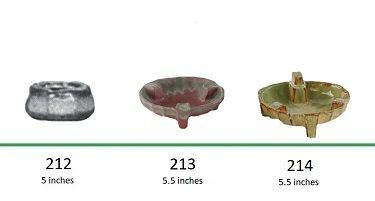 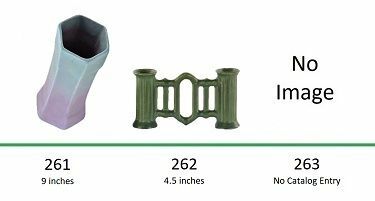 These shapes were introduced at various points in the history of the Muncie Pottery, and some of the more popular were produced since the very beginning, and occupy the range from 200 through 272. 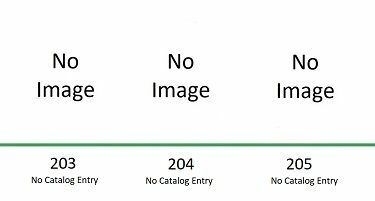 Placing a specific date to a particular piece is very difficult. 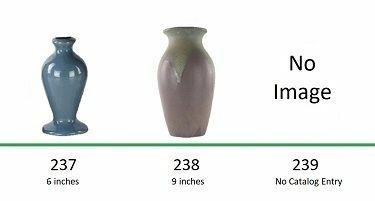 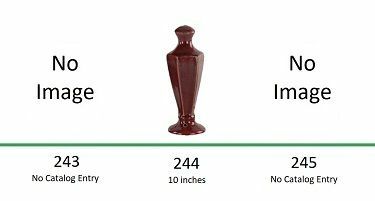 To complicate matters, they occasionally assigned vases numbers in these ranges, possibly because many of them were initially expected to be used as lamp bases. 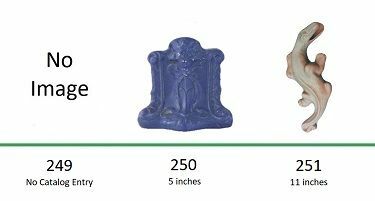 The first 20 shapes (200 through 219) are likely the first shapes created, as they are all simple arts and crafts forms that were cast. 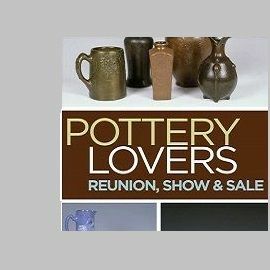 By the time their first known catalog was produced they had already discontinued most of the shapes. 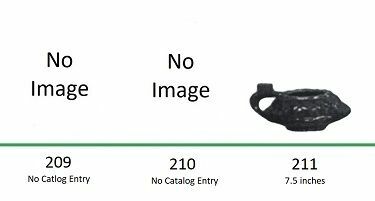 By 1929 only a few of these shapes were still offered for sale. 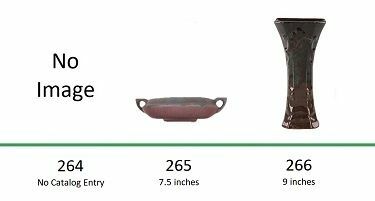 Most of the forms are unknown to collectors, and few examples of the known pieces exist in collections aside from the #200 Wall Pocket. 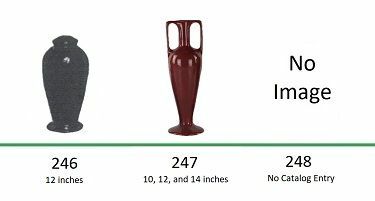 The lamp bases begin with 220 through 224 with the Reuben Haley art deco forms. 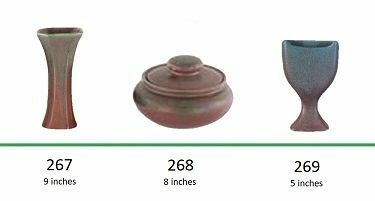 Although Muncie Pottery sold their lamp bases wholesale to the Aladdin Mfg Company in Muncie, the Haley lamp base designs are not present in the 1926, 1928, or 1929 Aladdin catalogs. 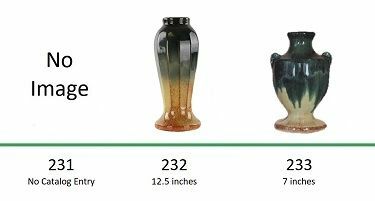 Suprisingly, only a handful of the Muncie lamp base designs were offered by the Aladdin Company if the catalogs we have are any indication. 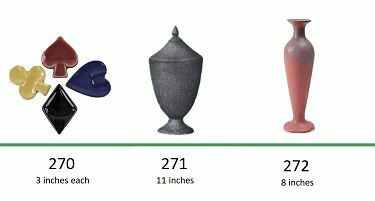 Shapes 225 through 249 were primarily lamp bases, with a few vases thrown in which may have been originally intended to be produced as lamps bases. 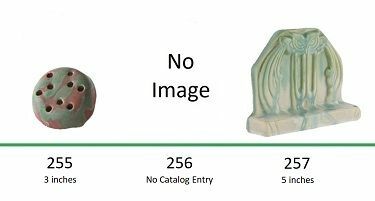 Beginning with shape 250, Muncie produced bookends and wallpockets, and other novelties. 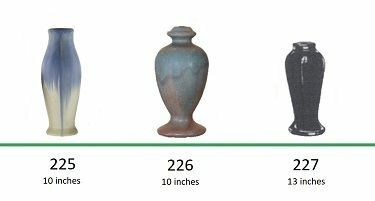 Novelty pieces continue through 272 with the inclusion of a few vases as well. 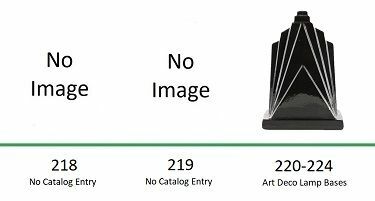 Shapes 273 through 275 are spanish line art deco forms and are shown in that section. 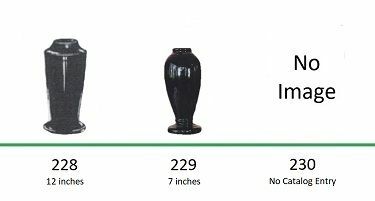 Below is a guide to the Muncie Pottery Lamps and Novelty shapes. 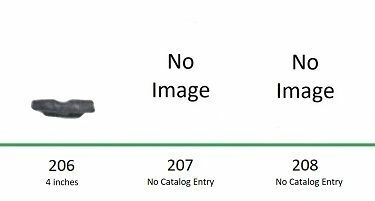 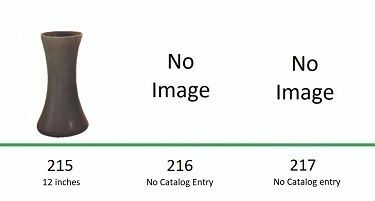 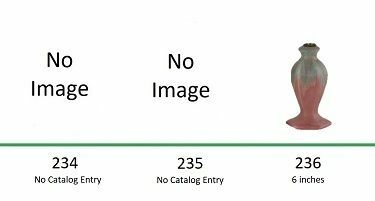 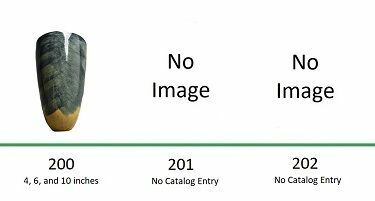 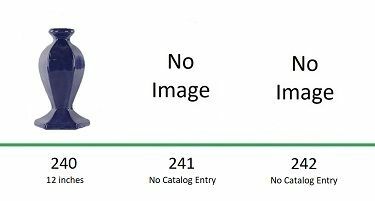 Those listed as "No Image" do not occur in any known catalogs and await the discovery of additional catalogs to identify them. 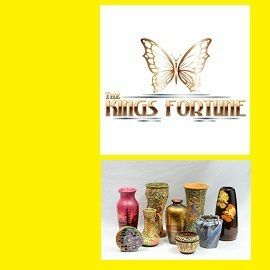 If you are in possession of original catalogs, advertisements, or other paperwork relating to Muncie Pottery, please contact The Kings Fortune to help us keep our information as accurate as possible.